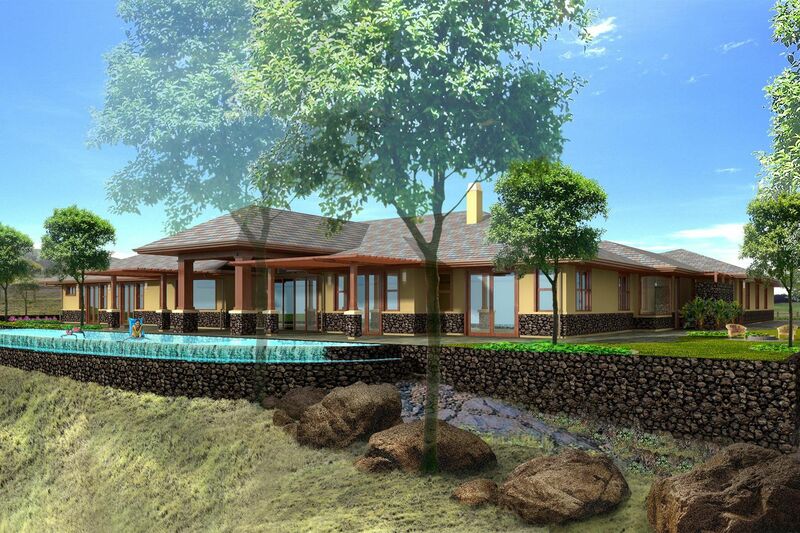 Located in the Mauka Ranch Lands of the Big Island of Hawaii, this 9,300 s.f. residence includes 6,300 s.f. of living area and 3,000 s.f. 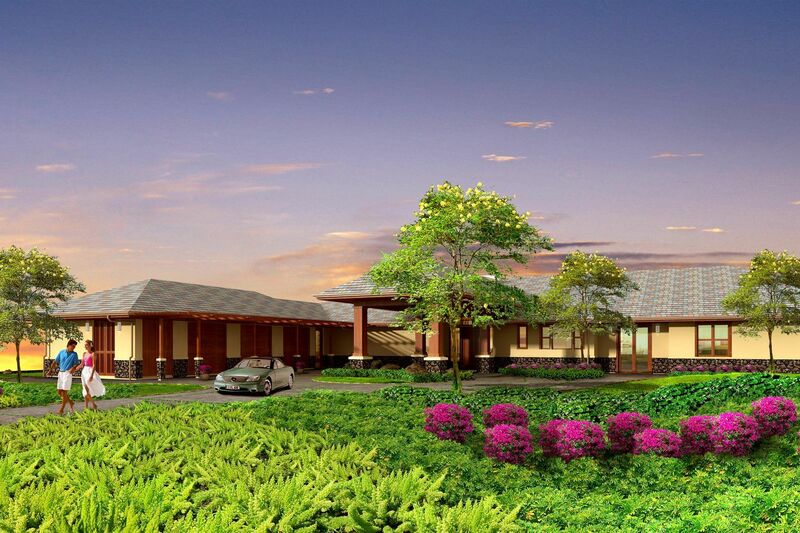 of garage and exterior lanais to maximize the indoor / outdoor living opportunities throughout the project. A well appointed master bath / spa, subterranean cellar, custom theater, and infinity edge pool highlight this exquisite retreat. Site design minimized the project footprint to the corner of the parcel that least impacted the native fauna and flora and allowed the majority of the 3 acre parcel to remain undisturbed.LOT AREA: 3 acres / LIVING AREA: 6371 s.f. / BUILT AREA: 9,322 s.f.